Mathematics for Electrical Engineering and Computing embraces many applications of modern mathematics, such as Boolean Algebra and Sets and Functions, and also teaches both discrete and continuous systems - particularly vital for Digital Signal Processing (DSP). In addition, as most modern engineers are required to study software, material suitable for Software Engineering - set theory, predicate and prepositional calculus, language and graph theory - is fully integrated into the book. Excessive technical detail and language are avoided, recognising that the real requirement for practising engineers is the need to understand the applications of mathematics in everyday engineering contexts. Emphasis is given to an appreciation of the fundamental concepts behind the mathematics, for problem solving and undertaking critical analysis of results, whether using a calculator or a computer. The text is backed up by numerous exercises and worked examples throughout, firmly rooted in engineering practice, ensuring that all mathematical theory introduced is directly relevant to real-world engineering. 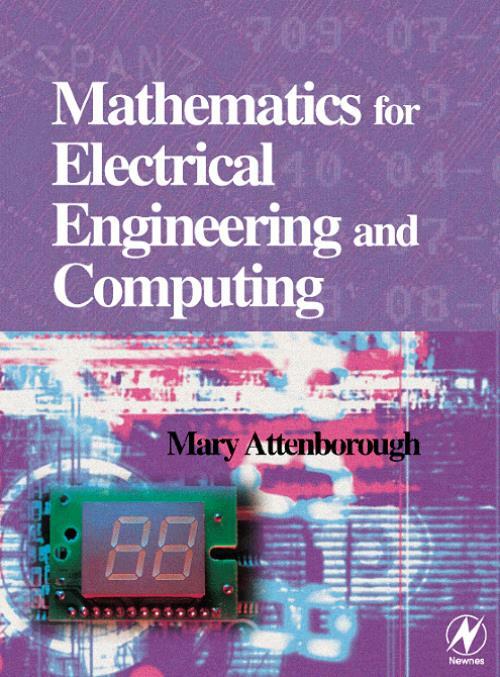 The book includes introductions to advanced topics such as Fourier analysis, vector calculus and random processes, also making this a suitable introductory text for second year undergraduates of electrical, electronic and computer engineering, undertaking engineering mathematics courses. Dr Attenborough is a former Senior Lecturer in the School of Electrical, Electronic and Information Engineering at South Bank University. She is currently Technical Director of The Webbery - Internet development company, Co. Donegal, Ireland. Problem solving and the art of the convincing argument. Maxima and minima and sketching functions. Systems of linear equations, matrices and determinants. Ordinary differential equations and difference equations. Functions of more than one variable.